United Nations U.S. Ambassador Nikki Haley addresses a U.N. Security Council meeting on North Korea, on Monday. U.S. Ambassador to the United Nations Nikki Haley tells the U.N. Security Council that North Korean leader Kim Jong Un is "begging for war," with the latest nuclear test that Pyongyang says is its first fusion device, a much more powerful weapon than it has exploded in the past. "Enough is enough. 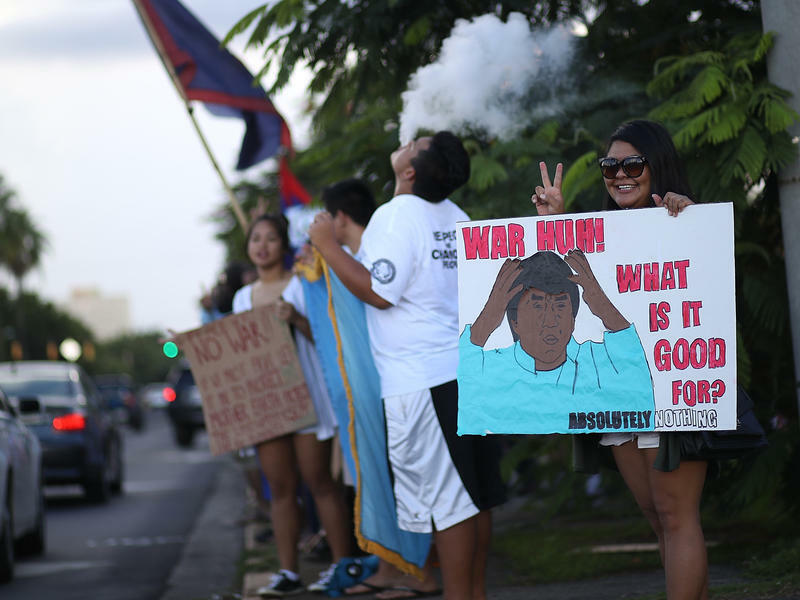 War is never something the United States wants. We don't want it now. 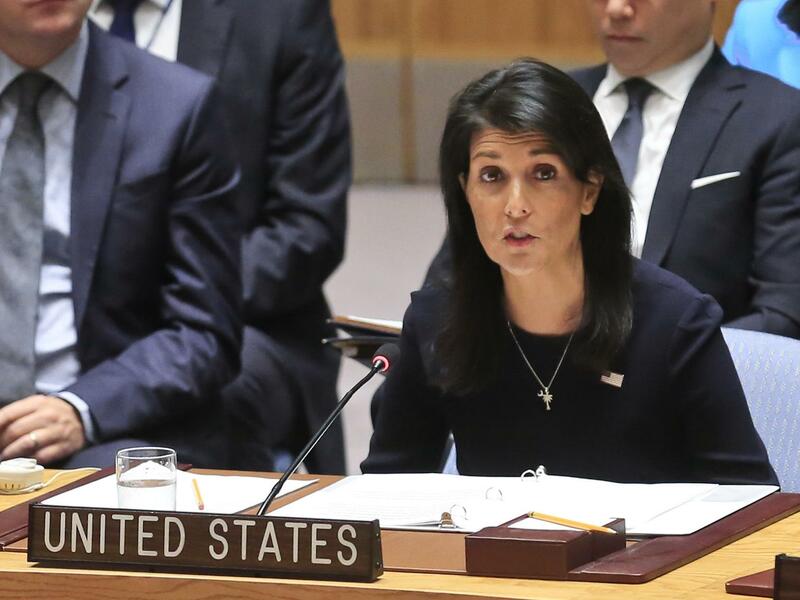 But our country's patience is not unlimited," Haley told an emergency session of the 15-member Security Council in New York. She said that incremental sanctions on North Korea imposed by the Security Council since 2006 had failed to stop Pyongyang's march toward more powerful and dangerous weapons. She said Kim appeared to be "begging for war." "Despite our efforts the North Korea nuclear program is more advanced and more dangerous than ever," she said. "We must adopt the strongest possible measures," Haley said. The U.S. is expected to circulate a draft resolution of unspecified new sanctions for a possible vote of the Security Council next Monday. As NPR's Elise Hu reported on Sunday from Seoul, Pyongyang claims to have successfully tested a hydrogen bomb and said that it had also coupled the the new weapon with one of its long-range intercontinental ballistic missiles. The U.S. Geological Survey says it detected a 6.3-magnitude "possible explosion" near Sungjibaegam, North Korea, Sunday afternoon that was "located near the sites where North Korea has detonated nuclear [devices] in the past." Shortly after the announcement out of North Korea, Defense Secretary James Mattis said President Trump wanted to be briefed on the "many" possible military options available to respond. "We made clear that we have the ability to defend ourselves and our allies, South Korea and Japan from any attack and our commitments among the allies are ironclad," Mattis said. "Any threat to the United States and its territories including Guam or our allies will be met with a massive military response — a response both effective and overwhelming." As NPR's Geoff Brumfiel reports, North Korea's previous nuclear tests had been in the tens of kilotons range, corresponding roughly to the size of the Hiroshima and Nagasaki bombs that were dropped on those Japanese cities by American bombers at the close of World War II. By contrast, early estimates of Pyongyang's latest test "are putting [it] in the hundreds of kiloton range," Brumfiel writes. Sunday's nuclear test — the first since the start of the Trump administration — follows on a series of ballistic missile launches, the latest on Tuesday when Pyongyang fired a missile into waters off Japan's northern Hokkaido island. South Korea says there are indications that the North is preparing more missile launches including a possible new test of its ICBM, the Hwasong-14. A readout released by Seoul of a call Monday between Trump and South Korean President Moon Jae-in, said the leaders "shared views on the fact that the latest provocation was more serious than ones before," and that "the two leaders agreed to rigorously prepare for possibilities of further provocation through the [South Korea]-US combined defense posture in actively seeking response measure to North Korea's provocations." The German government has also issued a statement saying that Chancellor Angela Merkel and French President Emmanuel Macron "expressed their support for a tightening of EU sanctions against North Korea." North Korean leader Kim Jong Un reviewed his military's plans to rain "an enveloping fire" around the U.S. territory of Guam — but opted not to fire missiles at this time, according to state media. 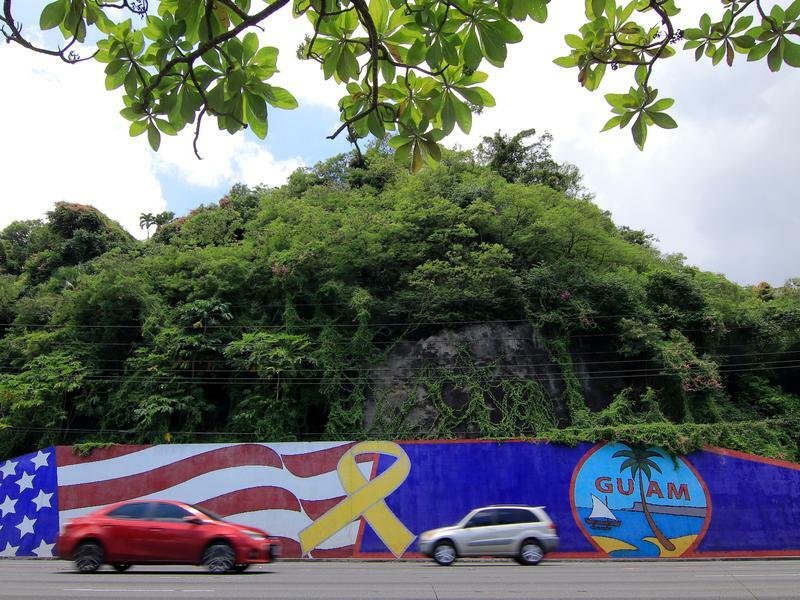 Despite the stand-down, some Guamanians were alarmed after two radio stations aired an erroneous emergency alert Tuesday. "Military solutions are now fully in place, locked and loaded, should North Korea act unwisely," President Trump said on Friday, in his latest salvo in the exchange of rhetoric with the isolated regime. Trump added, "Hopefully Kim Jong Un will find another path!"